With online, print and computer based homeschooling curriculum formats, Alpha Omega Publications has the right home school curriculum for you and your family. As a leading Christian homeschooling publisher, AOP's award-winning educational products have enabled thousands of families to discover the amazing benefits of a Christian homeschool education. Take a closer look and see what makes AOP's homeschooling curriculum so special. 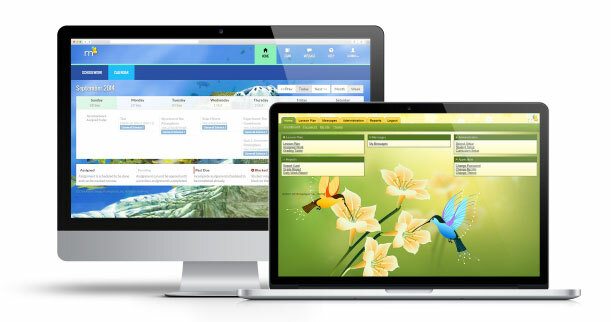 Subscribe to a completely different way to homeschool Monarch is a Christian online home school curriculum for grades 3-12 that's compatible with most web browsers on a Windows® or Macintosh® operating system. A comprehensive, Christian home school curriculum that offers computer-based learning for grades 3-12 with animation, video clips, and fascinating multimedia. A Christian home school curriculum for grades K-12 designed by a team of accomplished educators. LIFEPAC is the principle of comprehension, mastering content before progressing to the next. Horizons is a brightly illustrated, engaging workbook curriculum for homeschool students filled with consumable lessons and hands-on activities that uses a spiral learning method to help your student master core concepts. A unique unit-based, Christian curriculum for homeschool grades PreK-12. This family- based homeschooling curriculum uses the same daily Bible theme as a foundation and then creates lessons for each student. AOP's educational products help thousands of families discover the amazing benefits of a Christian home education. AOP has a complete selection of Christian homeschool curriculum with print-based, computer-based, and online formats, you can quickly find the perfect educational option for your homeschool family. Is your homeschooler struggling to grasp a difficult subject, or are you having trouble explaining a challenging subject in your Christian homeschool curriculum? Set your mind at ease by using our online academy.